2016: Another year of achievement! We are looking for members to join many of our committees from January 2018 to continue our work. 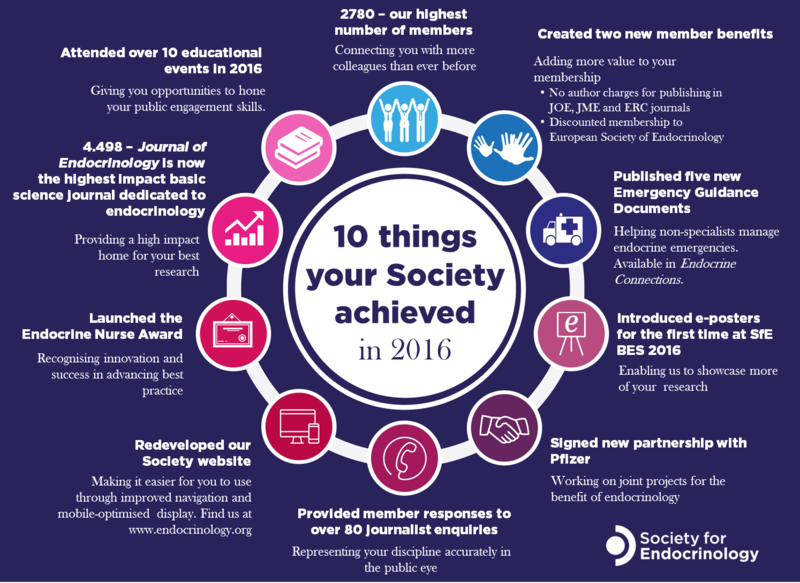 If you’d like the opportunity to help make a difference to your Society, find out how to put yourself forward online at www.endocrinology.org/about-us/governance/call-for-nominations/.